The USGA is headed back to Erin Hills. The Wisconsin course has been tabbed to host the 2025 U.S. Women’s Open, as well as the 2022 Mid-Amateur. After hosting the 2017 U.S. Open, the public course will now have multiple beacons to look forward to on the golf calendar. 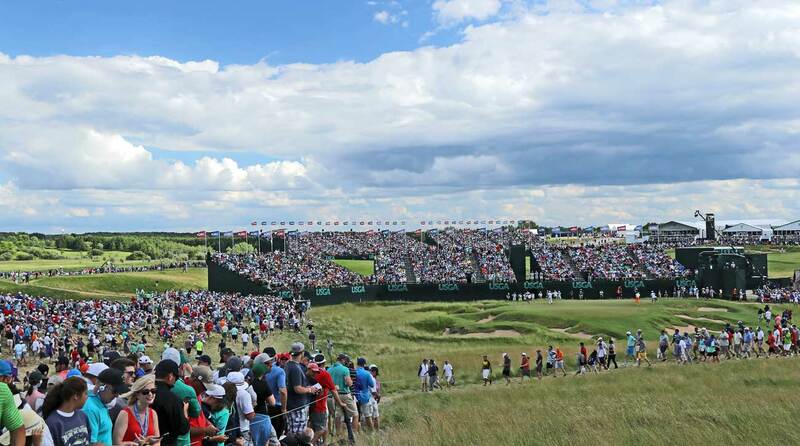 “We are thrilled to return to Erin Hills, and to bring the U.S. Women’s Open and U.S. Mid-Amateur to such a memorable and deserving course,” USGA CEO Mike Davis said. The event will take place from May 29-June 1, 2025, and serve as the fourth USGA event held at the course. Prior to the 2017 Open, there was the 2011 U.S. Amateur where Kelly Kraft beat Patrick Cantlay. It will also be the third U.S. Women’s Open held in Wisconsin. Erin Hills played host to Brooks Koepka's first major win at the U.S. Open in 2017. The move is an important one for the course, perhaps even more than for the USGA. It is coupled with the 2022 Mid-Amateur, an event that has gained interest with the champion being invited annually to the following Masters. 2019: Charleston Country Club — Charleston, S.C.
2021: The Olympic Club — San Francisco, Calif.
2022: Pine Needles Lodge and Golf Club — Southern Pines, N.C.
2023: Pebble Beach — Pebble Beach, Calif.
2024: Lancaster Country Club — Lancaster, Penn. 2019: Colorado Golf Club — Parker, Colo.
2020: Kinloch Golf Club — Manakin-Sabot, Va.